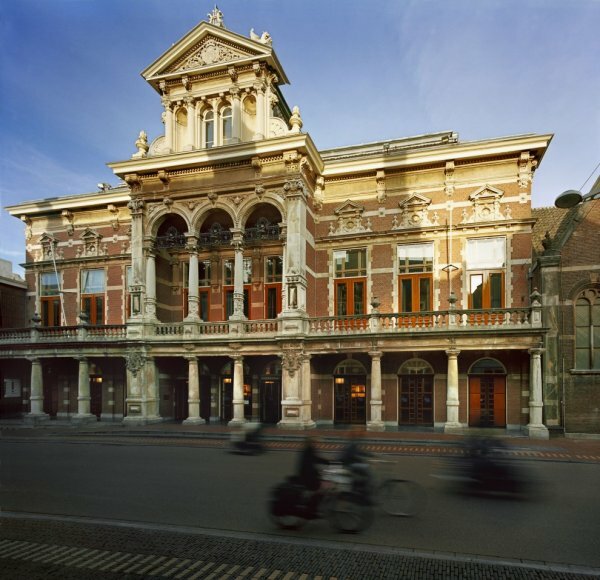 The Stadsgehoorzaal is one of the largest concert halls in the city center of Leiden. Most of the STI 2014 Conference takes place in the Aalmarktzaal, one of the halls of the Stadsgehoorzaal. The Aalmarktzaal is the newest hall in the Stadsgehoorzaal and was built in 2004, when part of the building was renovated. The Stadsgehoorzaal has a long history. It was built in 1891, after the original Stadsgehoorzaal was destroyed by a large fire. The Stadsgehoorzaal is an impressive example of neorenaissance architecture, which is hardly present anymore in the Netherlands. The uniqueness, history and location of the Stadsgehoorzaal make it the ideal place for the coming STI 2014 Conference. There is also an entry at the other side of the building (see picture above) at Aalmarkt 7. The directions on this page are for this address. 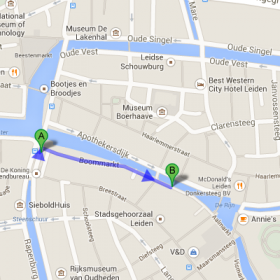 The Stadsgehoorzaal is located in the historical city centre of Leiden and can easily be reached by public transport. 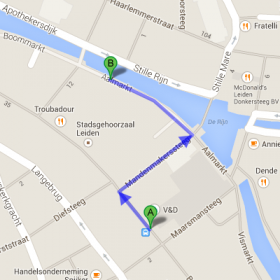 You can plan your whole trip to the Stadsgehoorzaal by public transport on the web page http://9292.nl (Dutch) or http://9292.nl/en (English). 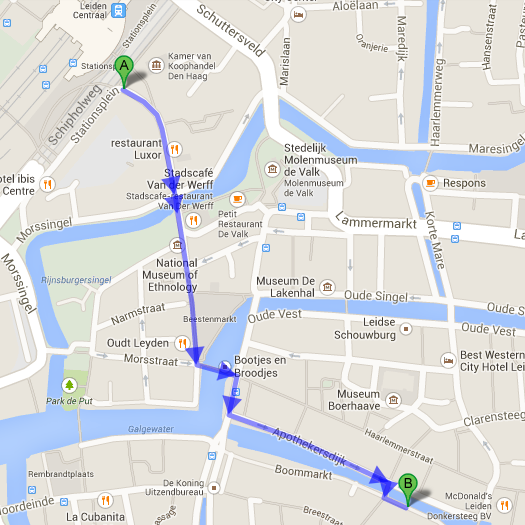 The city of Leiden can be reached by different types of trains (Fyra, Intercity Direct and HSL don’t stop in Leiden). To plan your trip by train, you can use http://www.ns.nl (Dutch) or http://www.ns.nl/en/travellers/home (English). As soon as you arrive at Leiden Central Station, several bus lines can bring you to the location within 10 minutes (see: by bus). By foot, it takes you around 15 minutes from the Central Station to reach the Stadsgehoorzaal and it takes you around 5 minutes by bike.